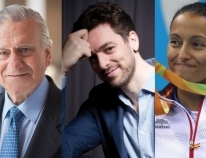 Aeronautical engineer José Miguel Bermúdez, chemical engineer María Escudero, chemist Guillermo Mínguez, social entrepreneur Arancha Martínez, singer Soleá Morente, cellist Pablo Ferrández and French organisation Article 1 will receive their awards on 28 June. 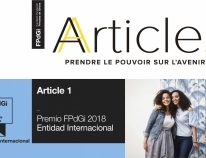 The jury has acknowledged the French organisation Article 1 for its great social impact and success in enhancing the employability of young people regardless of their social, economic or cultural background, and for its management and funding model. The winner’s name was announced today at an act held El Hueco in Soria, attended by well-known figures from Soria and over 170 young people from the region, who were also invited to take part at a creative workshop associated with depopulation.